Reminiscences of a Russian Clergyman About Saint Philaret Metropolitan of New York, the New Confessor. made strong international military‐political sense. bow to the idol, and then they could go to pray to Christ God. authority. Archimandrite Philaret especially decisively objected to the Japanese. almost tore out an eye, but he survived the torture. thought everyone knew all this. In 1945 Soviet troops occupied China and established total Soviet control. where they were starved to death. could obey this authority in good conscience and collaborate with it? Soviet citizenship. However this Archimandrite Philaret openly refused to do so. conscience and to collaborate with it. to their souls. In this we find precisely a pagan concept of good and evil. leading the entire clergy and people into error and sin. 1960, full of spite, decided to destroy him with fire. house, and he went into the living room, in the corner of which was a storeroom. alive. After coming to, he saw the house, which was burning like a torch. the house down in a matter of minutes. crossed the street and invited him to come to her house. knowing that the fire would start? Who told you in advance about the fire? the window and kill him. that night. I asked permission to see Fr. Philaret. tears rolling down my face, and kissed his blessing hand. Two months went by. He again began to serve, and after half a year could already live independently in the separate balcony above the church. But suddenly, he again went to Zinaida Lvovnaʹs. She told me privately that on one occasion Archimandrite Philaret got to his cell after a service, unlocked his door and went in. But suddenly he saw the toes of two large boots protruding from under the curtains. After understanding that a murderer was standing there, sent by the Soviets, he went to a chest of drawers and took something for appearancesʹ sake, and rapidly left the cell, after locking it up. After this episode men from the Chinese police came to Zinaida Lvovna to ask “Why does Archimandrite Philaret not pass the nights in his cell?” She immediately understood what was up and answered: due to his physical weakness and indisposition. Soon after this Fr. Philaret with spiritual clairvoyance revealed that under the altar in the church of the House of Mercy was a portrait of satan. The portrait was immediately removed. The Soviet godless authorities did not know how to deal with and how to mock a man that has apostolic boldness and faith, which made him a bearer of the unconquerable Grace of God. 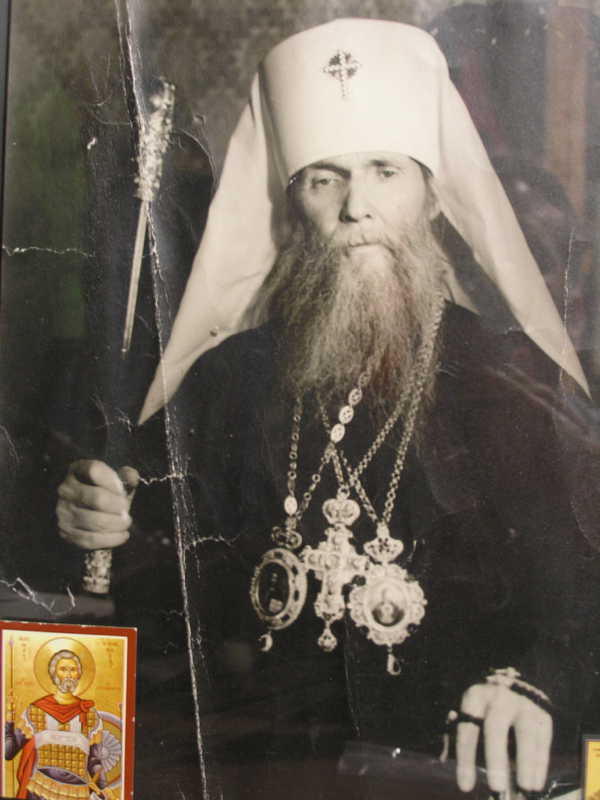 A third time there was an attempt on his life in the 70ʹs, at Pascha, when he already had become Metropolitan and First Hierarch of the ROCOR and lived in the USA. But the attempt did not succeed. The fourth attempt occurred aboard a ship, when Metropolitan Philaret was returning from France, after visiting the Lesna convent. Now let us ask ourselves, how could the heat of the boiler acquire such catastrophic force? Did this occur by itself? Or, as before, did the evil hand of the KGB interfere in order to destroy Vladyka? After passing through all temptations, after passing through fire and water in the spiritual and literal sense, Saint Philaret obtained from the Lord this gift: whoever might turn to him with a request about any matter, by his prayer the Lord fulfilled that request. And this gift only increased after his repose. and grant us His heavenly Kingdom. Amen.